Fall is the season for cable knit sweaters, savory soups, pumpkins (and subsequently, all kinds of pumpkin-flavored goodies), plus bonfires and s’mores, too. Another quintessential element of fall (at least here in Virginia)? Winds!. 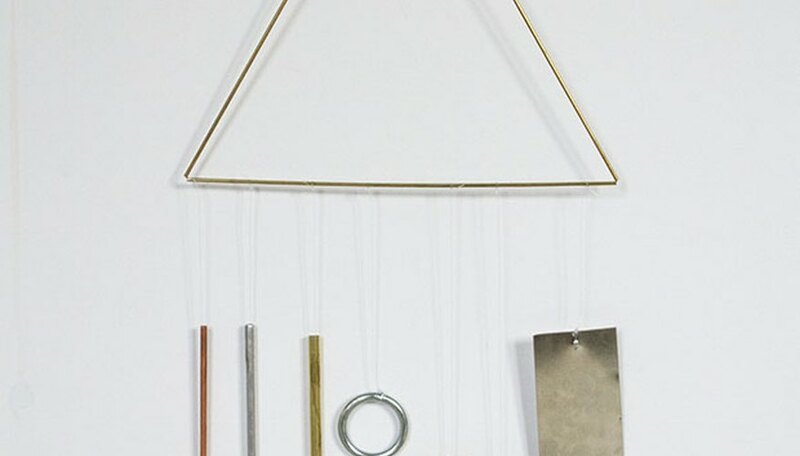 That blustery, breezy, smoky smell of fall has settled firmly over our area the last couple of weeks, and to celebrate the natural wonder, I crafted my own custom DIY modern wind chime. 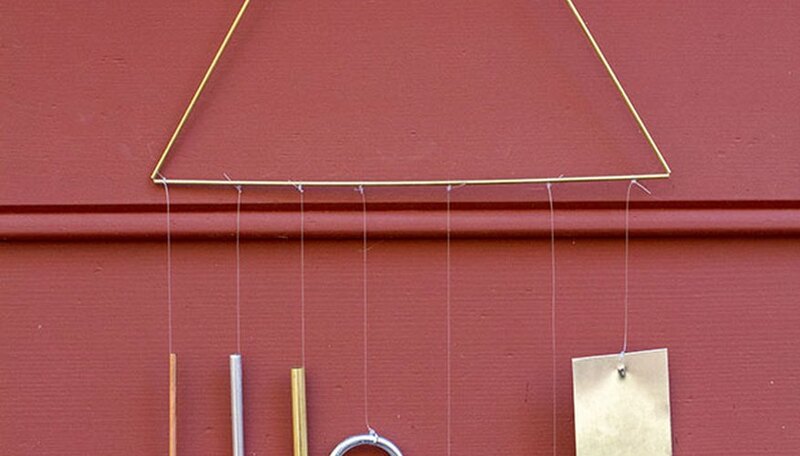 Read on to learn how you can make your own. 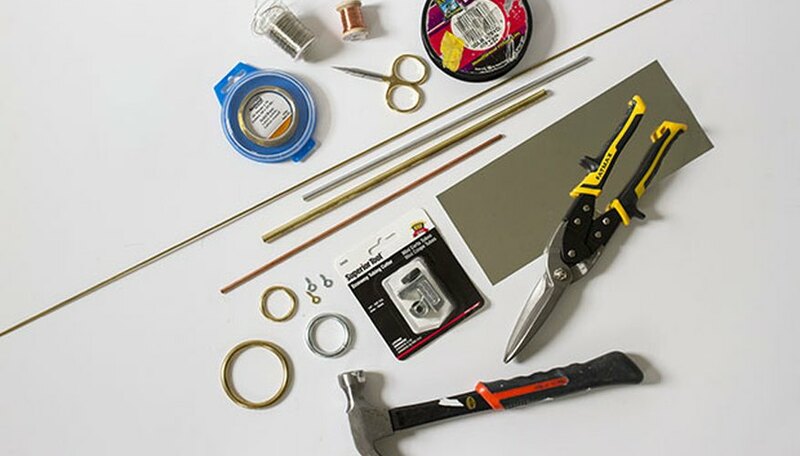 * 3-foot brass pipe * Pipe cutter * Thin wire * Scissors or wire cutters * 6-inch metal pipes, various metals, 3 * 3 metal rings, various metals and diameters * Eye screws * Fishing line * Sheet metal * Metal shears * Hammer and nail. Start by creating a triangular frame. 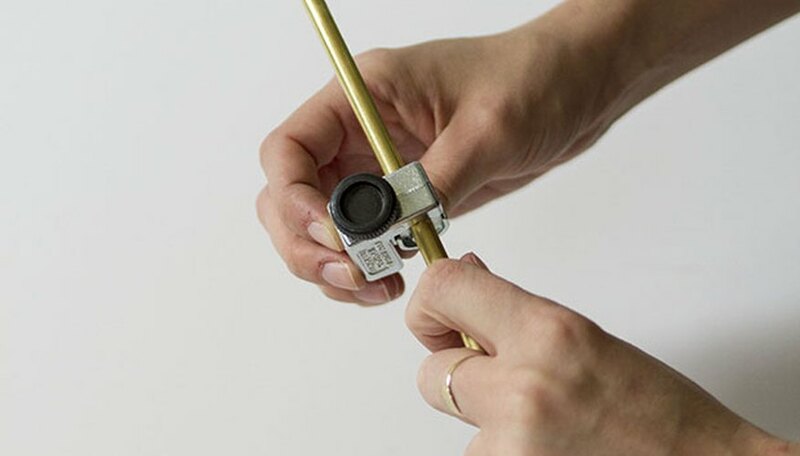 Do so by using a pipe cutter to snip the 3-foot brass pipe into three 8-inch sections. 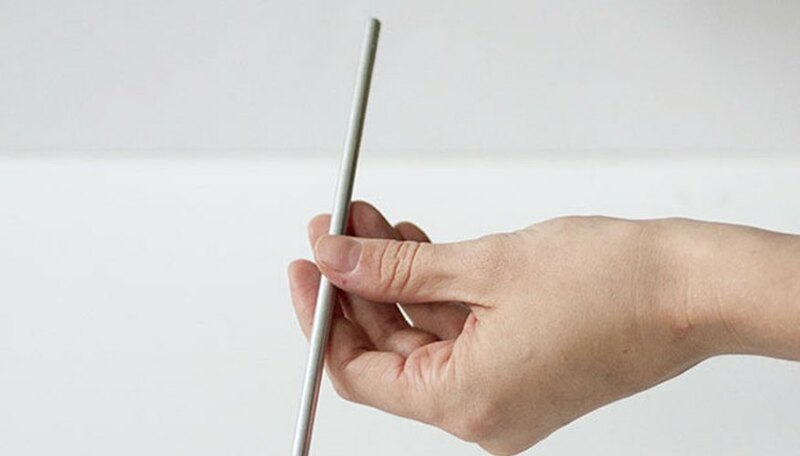 First, slip the pipe into the cutter and tighten the threaded screw on the side until it bites into the metal. Slowly turn the cutter around the pipe and, after completing two rotations, stop and tighten the threaded screw a bit more. Repeat the steps, gradually tightening the screw every couple of rotations, until the metal snaps. 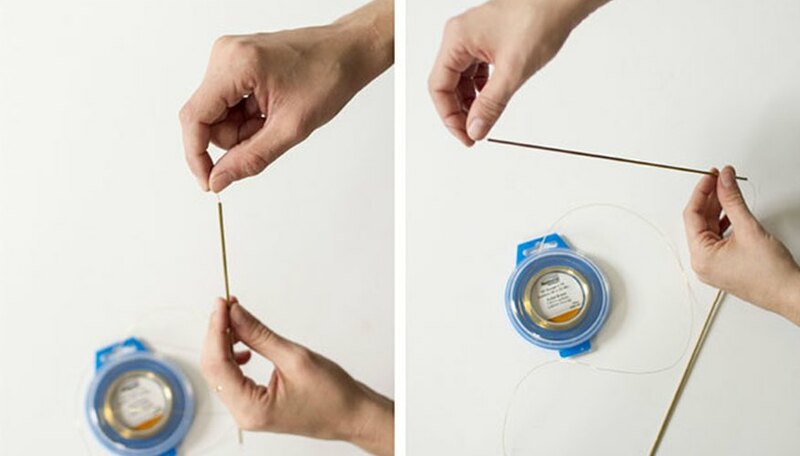 To form your triangle, thread wire through all three of the cut tubes. 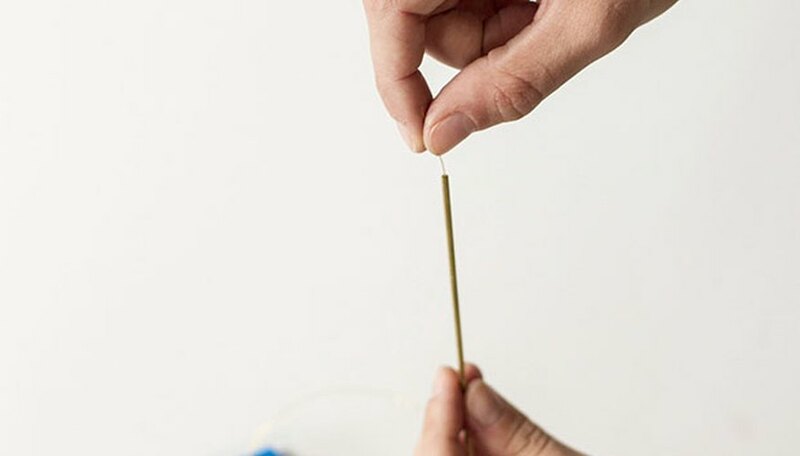 Leave at least 6 extra inches of wire exposed — 3 inches out of each end — and snip the end with a pair of wire cutters or scissors. 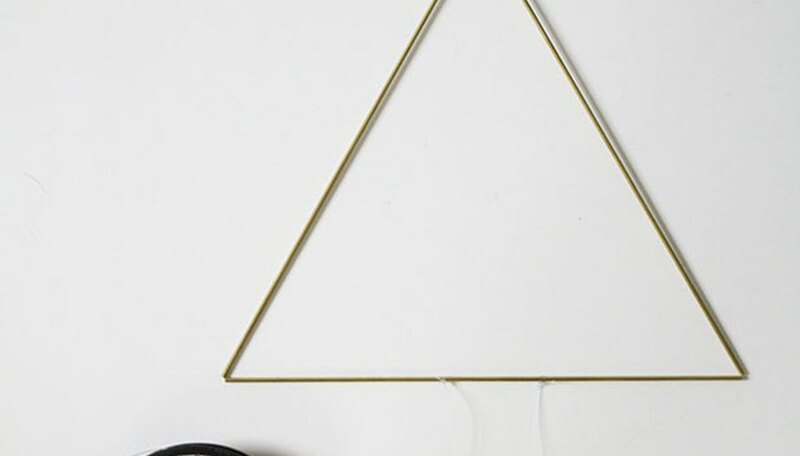 Finish the triangle by twisting together the exposed wires. 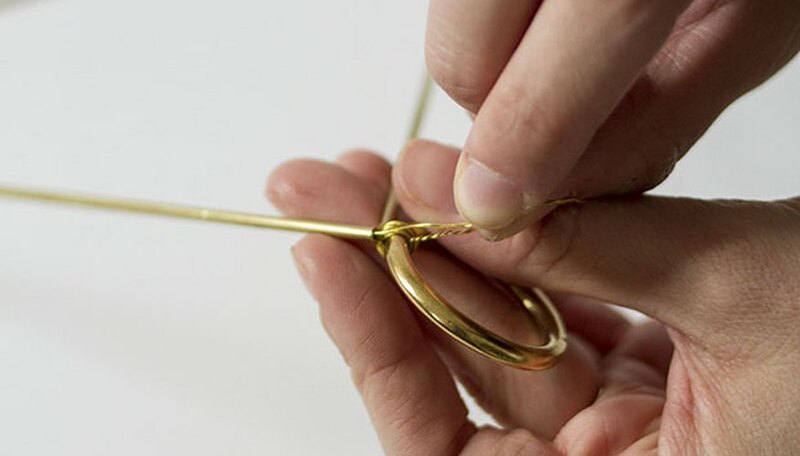 Next, grab the smallest of your metal rings and, holding it just above the end of the triangle, loop the exposed and twisted wire through the ring over and over until you are left with just a couple of inches of wire. 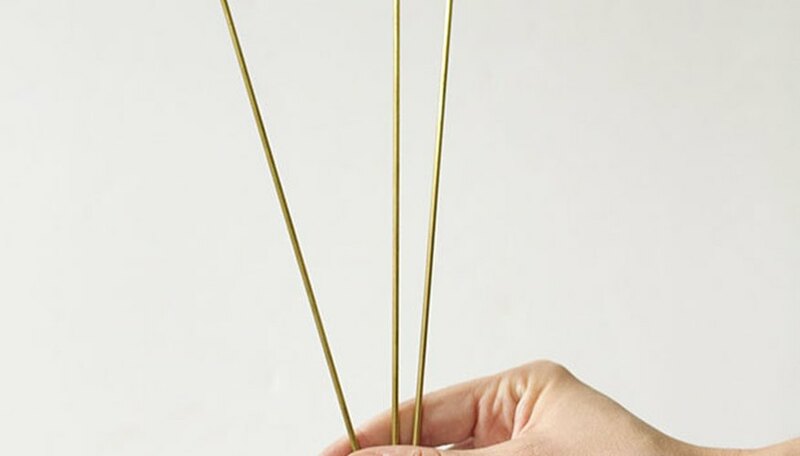 Complete the construction of the triangle by slipping the excess wire down into one of the cut brass tubes. Now it’s time to focus on the decorative pieces of metal on the chime. 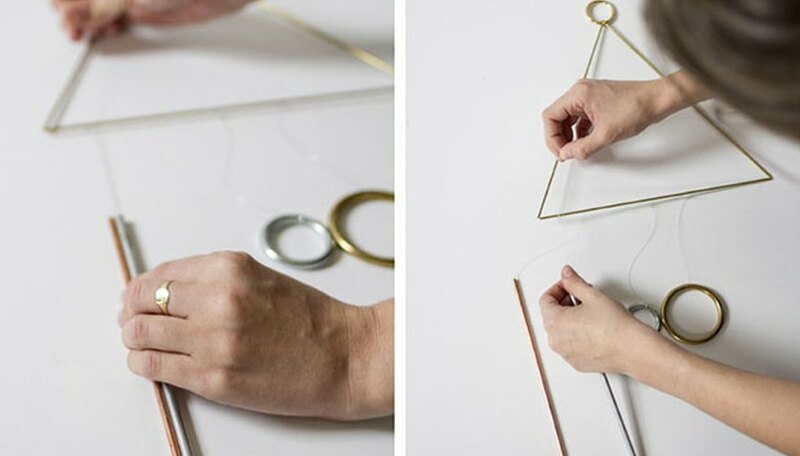 I started by adding a pair of metal rings — one large brass one and a smaller silver one — to the triangle. 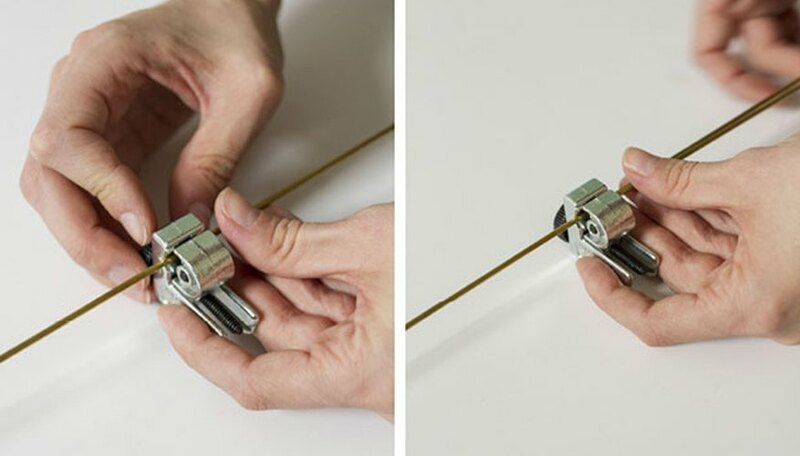 Simply cut a length of fishing line (always cut more than you think you’ll need) and tie one end to the ring and the other to the triangle. Repeat the steps for both. Next, come the straight pipes. 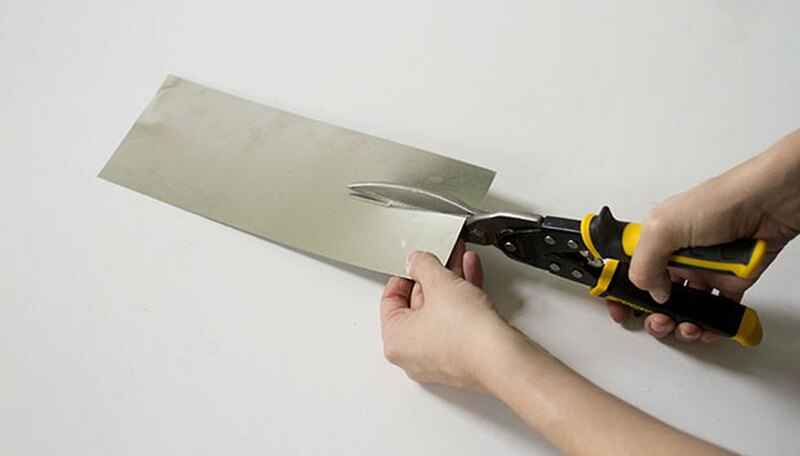 Cut them down to size — about 6 inches in length — using the pipe cutter in the same manner in which you formed the triangular top section. 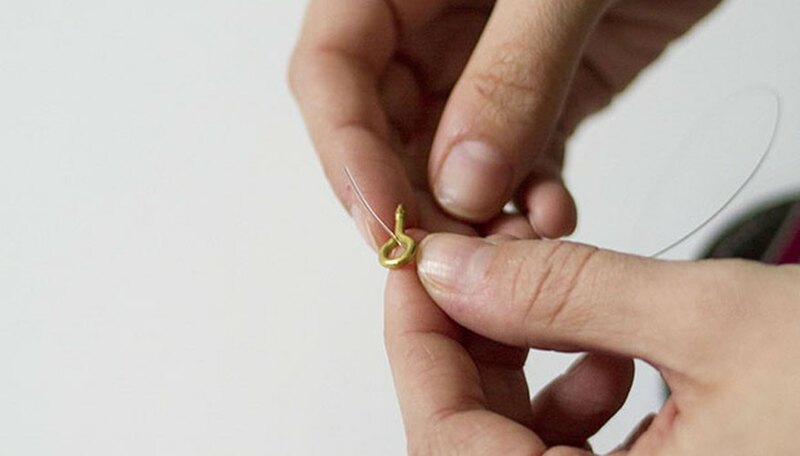 Then, cut a length of fishing line and tie one end to an eye screw. 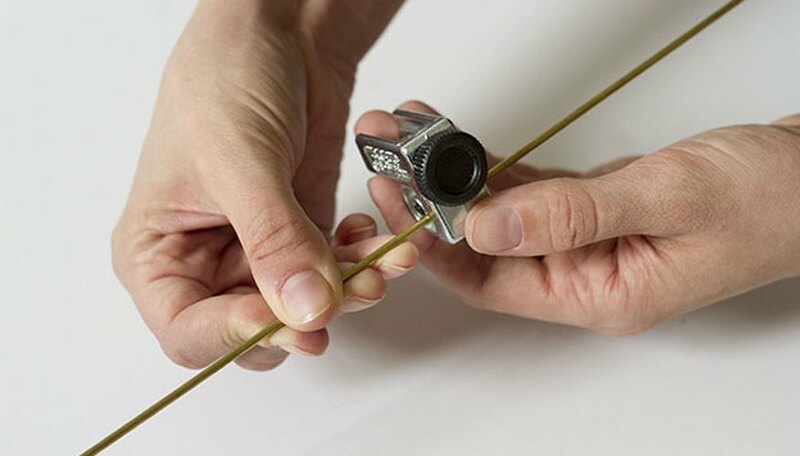 Thread the fishing line through the metal pipe, and turn the eye screw so that the threaded end goes up into the pipe. . 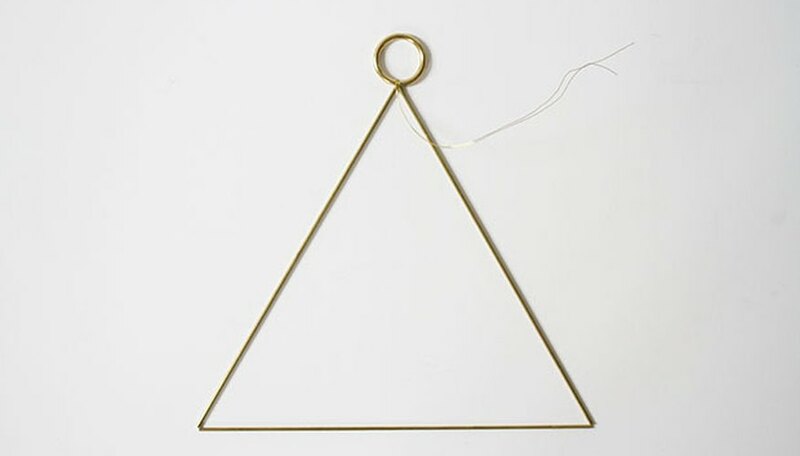 Then knot the other end around the triangle form alongside the already attached metal rings. Repeat the steps for each of the three pipes. For the final decorative element, I chose to add a few sheet-metal shapes — a rectangular form and a triangle. 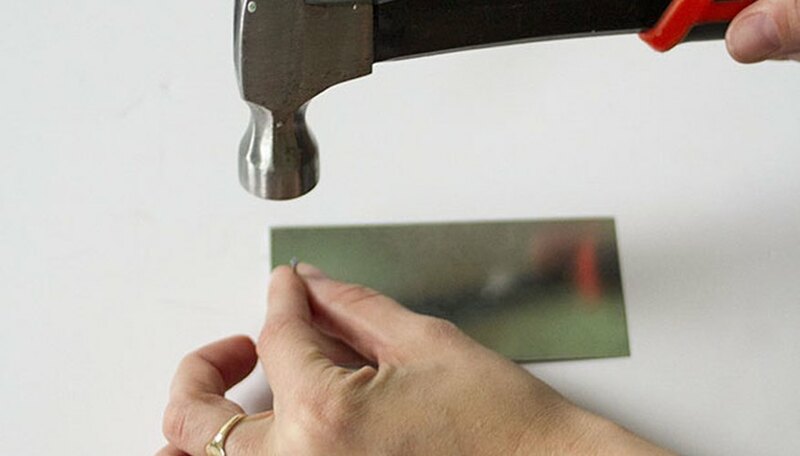 To mimic the look on your chime, use a pair of metal shears to cut sheet metal into your desired shapes, and then use a hammer and nail to puncture a small hole in the top of the metal shape. 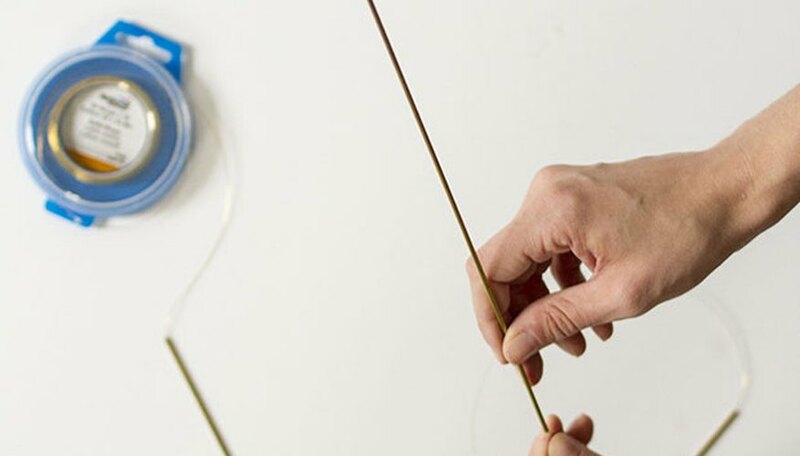 Thread a length of cut fishing line through the holes, and then knot and tie each onto the triangle form. 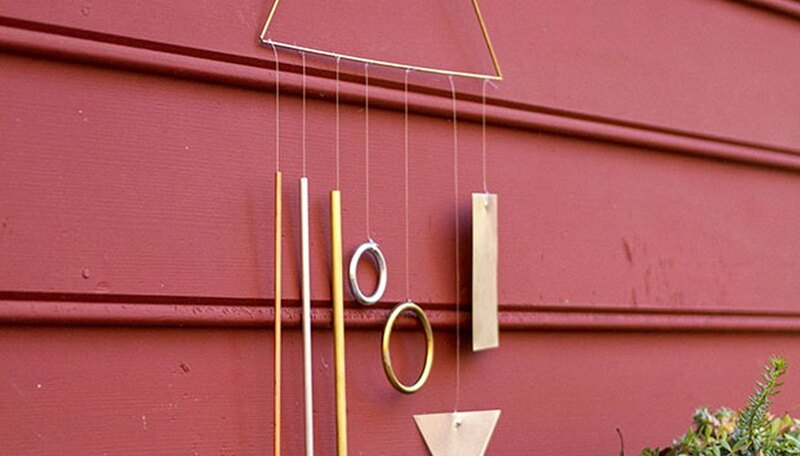 Display your crafted DIY wind chime outdoors near your favorite seating area or right by a favorite window to enjoy all season long. 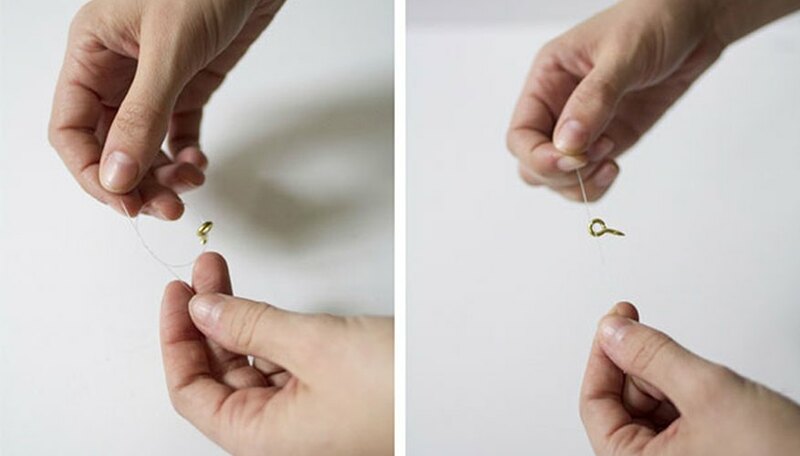 You may be surprised to hear just how many tones those $1 metal rings and pieces of metal can make as they tinkle and blow against one another in the fall breezes. 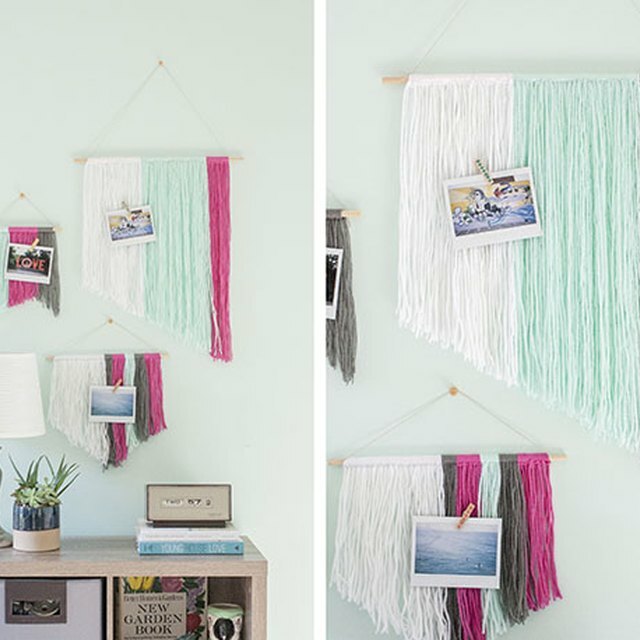 _Carrie Waller is the writer, designer and stylist behind the blog [Dream Green DIY](http://wwwdreamgreendiycom/). Photos courtesy of Carrie Waller_. 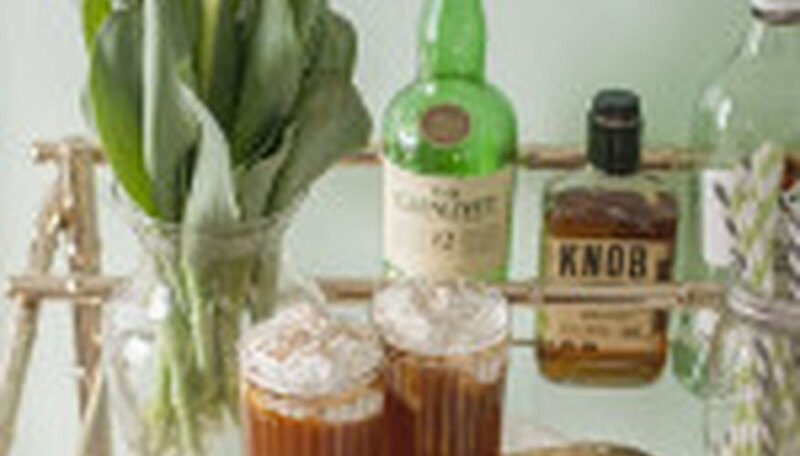 [How to Style Your Bar Cart for Fall (+Spiked Apple Cider Recipe)](http://wwwehowcom/ehow-home/blog/how-to-restyle-your-bar-car-for-fall-with-spiked-apple-cider/). [Create Rustic Place Cards Using Log Slices and Chalkboard Paint](http://wwwehowcom/ehow-home/blog/create-rustic-place-cards-using-log-slices-and-chalkboard-paint/). 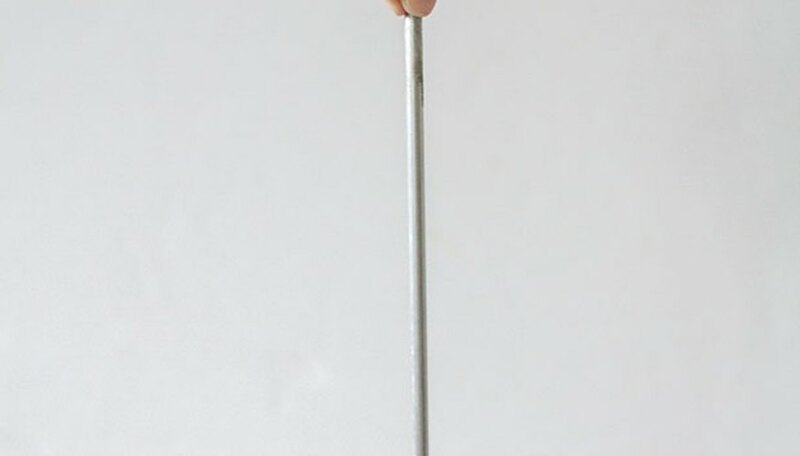 [Make Your Own Planter Side Table Using Hairpin Legs and Wood](http://wwwehowcom/ehow-home/blog/make-your-own-planter-side-table-using-hairpin-legs-and-wood/).